Most drag queens would be happy to make an audience laugh. But if you look back at movies and TV from years past, there’s a tendency to make drag queens themselves the punchline. Just the fact that a man is in a dress is joke enough. And if someone mistakes that queen for being a biological woman, all the more so. 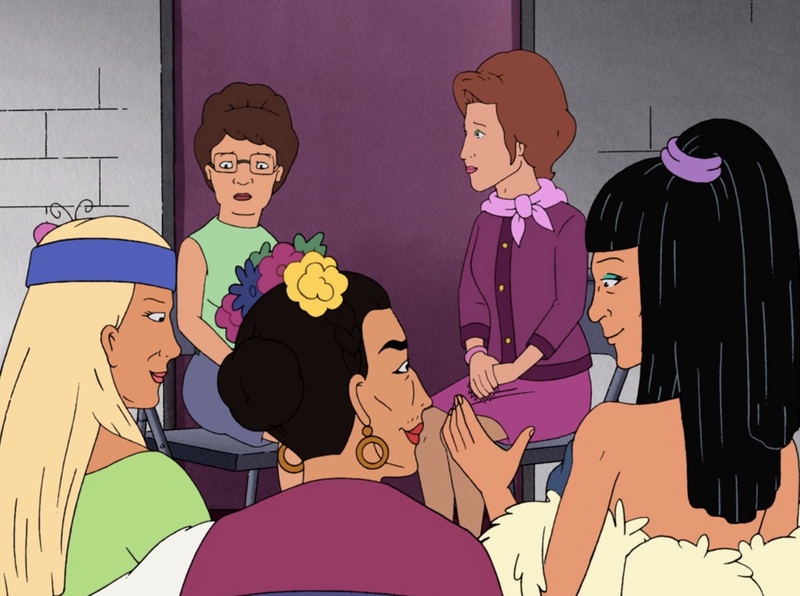 Back in 2007, King of the Hill chose a more progressive tactic for a drag-themed episode. 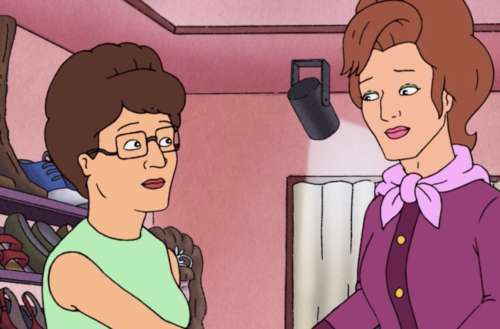 The show kicked off its 11th season with an episode in which the Hill family matriarch — Peggy, voiced to Texas-sized perfection by Kathy Najimy — befriends a woman she meets at a store that sells oversized women’s shoes. 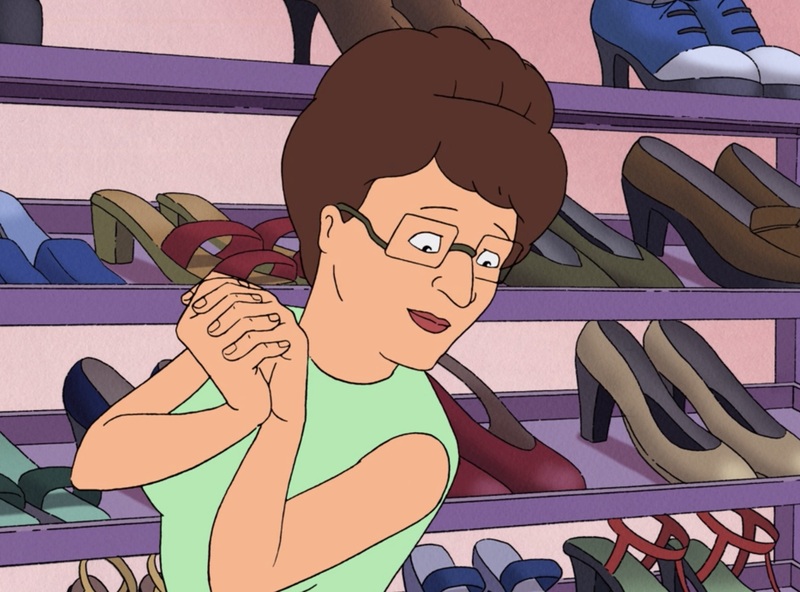 Peggy has size 16 feet, and this fact is a source of embarrassment for her the whole series through. 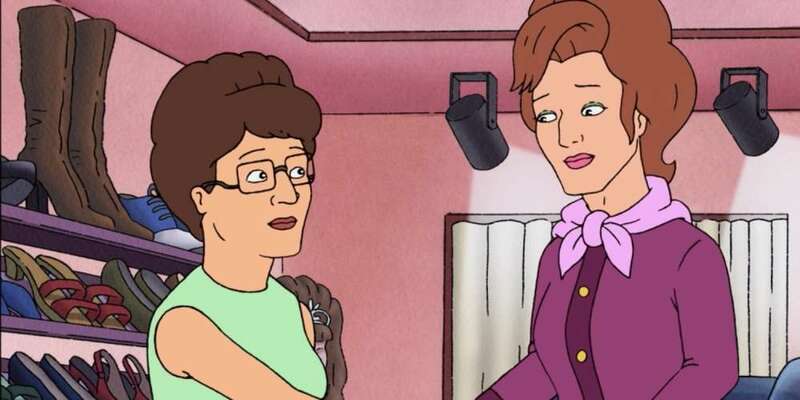 This woman turns out to be a drag queen who thinks Peggy is one as well. And while that setup could be handled clumsily on another show, King of the Hill gives the story a lot more heart than you might expect. And while my podcast, Gayest Episode Ever, tends to focus on older shows, this one was just too good not to include. As the story progresses, yes, Peggy is initially horrified when she learns that anyone thought she was a drag queen. But in the end, her new friend makes a great argument for how it was a compliment, not an insult: Peggy is a fierce, strong woman unlike any other in town, and drag seeks to celebrate those examples of exceptional femininity. And it’s very telling that this King of the Hill episode holds up better than the RuPaul-starring drag queen episode The Simpsons aired last year, even if it comes from a time when mainstream culture knew less about drag culture. King of the Hill was a special kind of show that appealed to both conservative audiences (who shared Hank Hill’s bafflement with progressive values) and liberal audiences (who liked how the show poked fun at stodgy traditionalists). But over the course of the 13 years the series ran on TV, the Hill family repeatedly showed themselves to be tolerant people who could understand others despite diverging politics. It was a show that red staters could enjoy while maybe learning a thing or two. I mean, come on — millions of Americans watched this episode, which ends with a Texas housewife finding common ground with a room full of drag queens. That’s worth talking about. If you happen to have a favorite LGBT-themed episode of a classic show, hit us up on Twitter or on Facebook to tell us what we should be watching. Have you ever seen this drag queen episode of King of the Hill? You can subscribe to Gayest Episode Ever on iTunes, Google Play, Spotify and pretty much anywhere else you’d find a podcast. 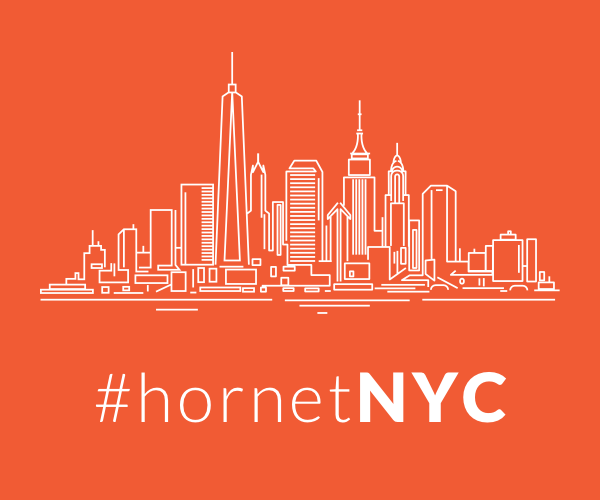 Or you can just follow along here on Hornet, and play each new episode right in your browser.